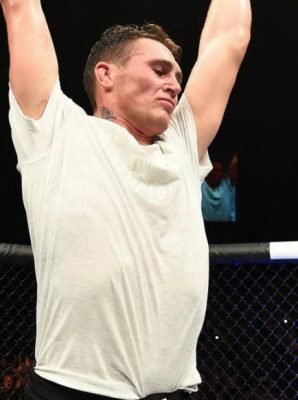 A new featherweight title contender emerged on Saturday night when Brian Ortega tapped out Cub Swanson in the main event at UFC Fight Night in Fresno. The victory kept Ortega undefeated in his career while also establishing him as a serious threat to champion Max Holloway in the future. As impressive as win was against Swanson, Ortega won’t be getting the next shot at the title because UFC president Dana White confirmed that Frankie Edgar is still in line to face Holloway next as soon as he’s healthy. “There’s no way that [Brian] Ortega jumps over Frankie. Defnitely not,” White said following the event. The reason why Edgar is still in line is because he suffered a broken orbital bone in training that forced him out of the fight with Holloway before he was replaced by former champion Jose Aldo at UFC 218. Holloway dispatched Aldo in lopsided fashion with a third round TKO to retain the title, but it appears Edgar’s injury won’t cost him a title shot once he’s healthy. Obviously like all fights in the UFC, White admits that it always comes down to timing but considering Holloway just fought this past weekend, it should give Edgar the time he needs to heal before they book that matchup in 2018.